Brihhton & Hove Albion : Ryan (6), Montoya (6), Duffy (6), Dunk (7), Bong (6), Gross (7), Propper (7), Bissouma (6), March (7), Murray (6), Locadia (7). Watord FC : Foster (8), Janmaat (7), Mariappa (7), Cathcart (7), Holebas (6), Hughes (5), Capoue (6), Cleverley (6), Sema (4), Deeney (5), Deulofeu (4). Brighton & Hove Albion XI : Ryan, Montoya, Duffy, Dunk, Bong, Gross, Propper, Stephens, March, Murray, Locadia. Subs: Button, Balogun, Kayal, Bissouma, Knockaert, Jahanbakhsh, Andone. Watford XI : Foster, Janmaat, Mariappa, Cathcart, Holebas, Hughes, Capoue, Cleverley, Sema, Deeney, Deulofeu. Subs: Gomes, Britos Masina, Quina, Chaolbah, Gray, Penaranda. Brighton have won just one of their last eight league games against Watford (D3 L4), though it did come in this exact fixture in the Premier League last season. 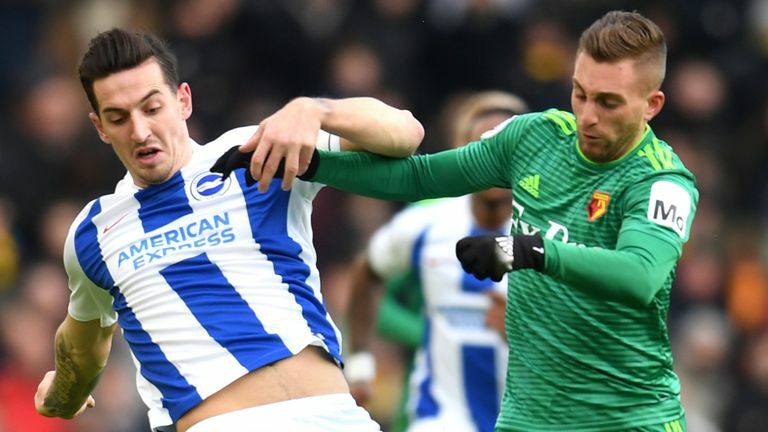 Watford are looking to complete a league double over Brighton for the first time since the 1973-74 season, when they competed in the third tier. Brighton have failed to score in their last two home games in all competitions (W0 D1 L1), last failing to find the net in three in a row at the Amex in January 2016. Brighton haven't lost four consecutive league matches since December 2011 under Gus Poyet, while current boss Chris Hughton hasn't done so since January 2013 when he was Norwich manager. Watford haven't lost consecutive Premier League away games since a run of six between February-May 2018. Brighton have never lost a Premier League game in February (W2 D1), one of just two teams to be unbeaten in a single month in the competition's history (Blackpool W2 D0 L0 in December). 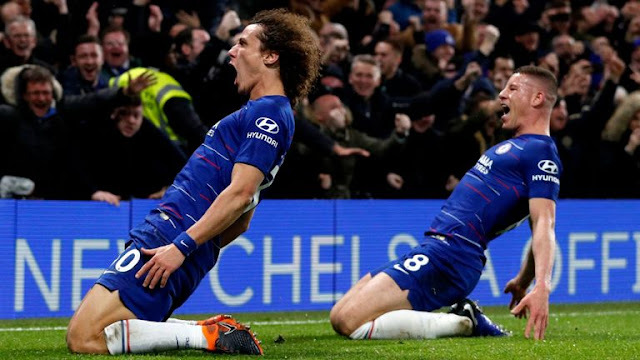 Brighton striker Glenn Murray has scored 10 Premier League goals in back-to-back seasons (12 in 2017-18, 10 in 2018-19) - he has found the net with 10 of his 17 shots on target this season. 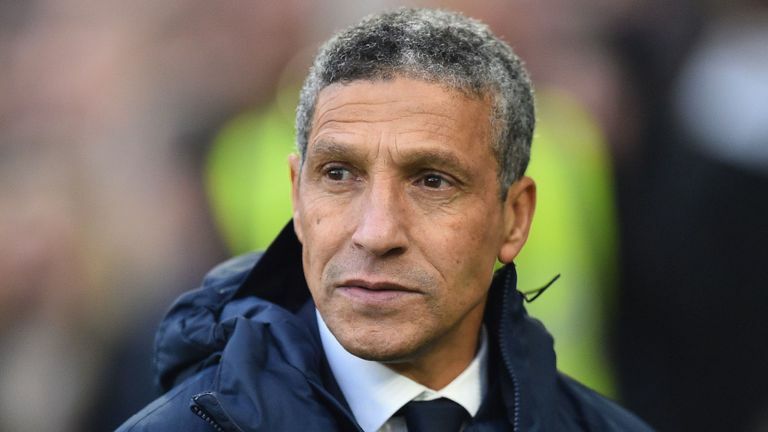 This will be Brighton manager Chris Hughton's fifth home league meeting with Watford (P4 W3 D0 L1 previously), facing a different manager each time (Malky Mackay, Sean Dyche, Slavisa Jokanovic, Marco Silva and Javier Gracia). Watford defender Craig Cathcart has scored in consecutive Premier League games. He'd only scored in three of his previous 108 in the competition. This will be Watford manager Javier Gracia's 39th Premier League game in charge of the Hornets, more than any other manager for the club in the competition.